Public response to the news that water rationing in Selangor would be extended until April 30 has been largely one of anger and frustration. Malaysian Nature Society (MNS) Green Living is strongly of the opinion that household water rationing is not the best way to manage a water crisis. There are serious doubts that the month-long water rationing exercise thus far has created any significant dents in water usage and wastage. Most households would have merely rescheduled their cleaning, laundry and water-intensive activities to days in which water supply is reconnected, and would have stored large amounts of water for use on dry days. In fact, it is observed that in most households, water wastage has even increased during the rationing period as taps have to be allowed to run for at least 10 minutes each time the water supply is reconnected to get rid of the muddy and contaminated backwashed water. There is nothing to suggest that water usage has reduced, as most residents affected by the water cuts would simply eat out at commercial establishments and use the bathrooms in offices, shopping malls and friends' homes that are not affected by the water cuts. In fact, household solid waste has increased during these inconvenient times as many people have resorted to buying disposable tableware and wet wipes to cut down on the amount of washing they need to do. This would, of course, hinder the Selangor State Government's goals of reducing plastic bag and polystyrene usage in the state. The household water rationing exercise has been unnecessarily burdensome on Selangor residents. Hygiene and health have been compromised, while complaints of injuries resulting from carrying and transporting water are on the rise. Having to purchase more water receptacles, bottled drinking water and disposable goods are also added expenses that most households would rather do without. In developing a water conservation and management policy, it is critical that the government considers the protection of forests, rivers and watersheds as the foremost item on its agenda. 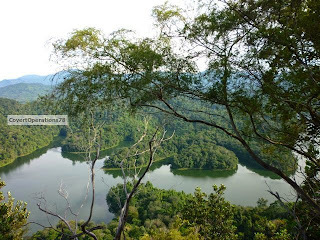 The Selangor State Park comprising the Ampang, Ulu Gombak, Ulu Langat and Bukit Sungai Puteh Forest Reserves, for instance, has an important role to play as a vital watershed area. Deforestation and environmental degradation would foreseeably result in reduced air and water quality and increased soil erosion and sedimentation of waterways. There is no possibility that any Selangor resident can ignore the correlation between deforestation and declining water and air quality. Protecting our forests and maintaining the health of our rivers, wetlands and watersheds are therefore essential to ensuring that water resources are safe for us and can be sustained for future generations. Among the measures MNS Green Living would like to propose to the state government as part of the state's water management policy would be to end the waiver for the charges for the first 20 cubic metres of water used by households in Selangor. While we understand that the waiver was instituted in 2008 to rectify the imbalance caused by the artificial inflation of water prices due to subsidies paid to water distribution concessionaires by the previous state government, it is a move that does not further the cause of water conservation. MNS Green Living had in 2008 already recommended that the savings made by the state government from terminating the subsidies paid to water distribution concessionaires be channelled instead into improving and upgrading substandard and obsolete water storage, treatment and supply infrastructure, and minimising non-revenue water loss by putting a stop to water theft and replacing old asbestos water pipes with safer materials. Instead of offering reduced water charges to all Selangor residents, the state government should introduce a state-wide green rebate scheme such as that practiced by the Petaling Jaya City Council (MBPJ) and offer tax and assessment rebates to households and businesses with water and energy-saving initiatives, including those with low-tech, low-cost initiatives such as rainwater collection and greywater reuse using pails, to ensure that even low-income households can benefit from these rebates. More sophisticated rainwater harvesting systems and water-saving devices can be installed at government buildings, parks, animal welfare facilities, and commercial centres. It is further noted that a lot of water wastage occurs in commercial buildings, offices, factories and schools, since the building occupants and visitors are less likely to be concerned about saving water in a place where they are not responsible for the paying of the water bills. As such, it is recommended that measures and incentives such as green rebates and voluntary water reduction schemes be put in place to encourage homeowners, developers, commercial property owners and managers of public facilities to install water-saving devices such as aerated taps, dual flush toilets and low-flow showerheads, or even to just reduce faucet water pressure to prevent splashing. The solution to our country's water problems lies not in the construction of an infinite number of dams, or in water rationing for domestic users, but in protecting vital watershed areas, repairing and maintaining the existing water supply infrastructure to minimise non-revenue water loss, and to promote and enforce more efficient water use.